This is the third year that the Centre for 21st Century Humanities has hosted the highly popular workshop, with seed funding awarded to the most viable ideas pitched on the day. Director of the Centre for 21stCentury Humanities, Professor Ros Smith, said this year participants of the workshop, including PhD students and researchers, received training in how to turn an idea into a business and the skills they would need to succeed in the startup world. “Our speakers included James Garvey, who is a very experienced entrepreneur and has had a number of startups in various sectors from property development to hospitality,” Professor Smith said. “We also had Helen Hopcroft, who won startup seed funding in a similar workshop two years ago, present at the event. She leveraged the seed funding we gave her into a large project about re-energising Maitland as a city. 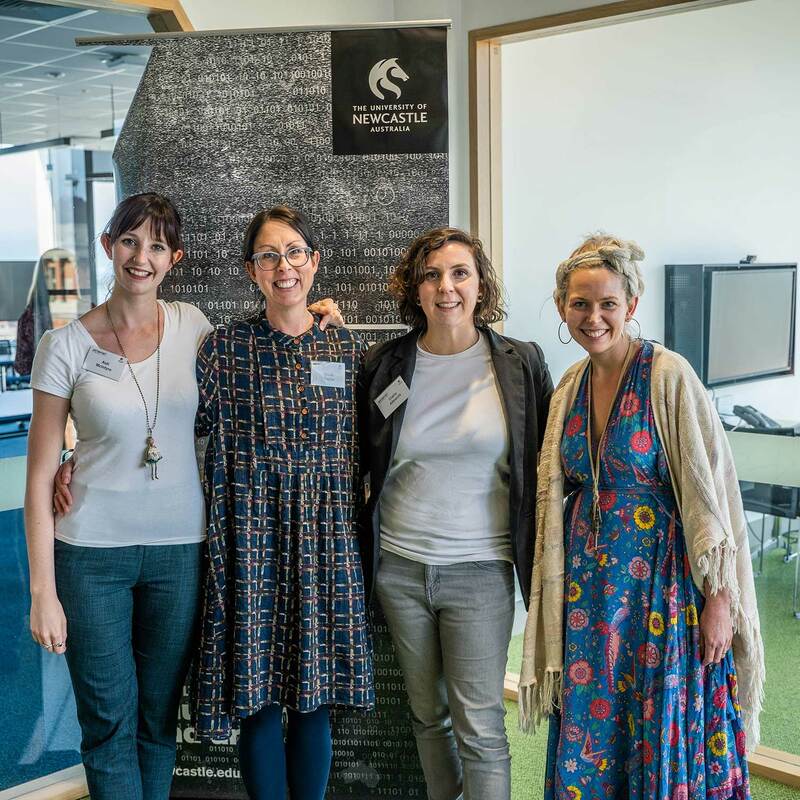 Brooke Forbes from Newcastle Innovation taught participants about to pitch, what a good pitch looks like, and the practicalities of turning your humanities research idea into a pitch for funding,” Professor Smith said. Siobhan Curran, Manager I2N Operations and Programs, spoke about startup culture and the resources that the University can offer to new businesses. “The reason why we focus on startups is because those type of businesses are the ones who contribute more to net positive jobs growth than established business, and with the future of work being disrupted it’s important for us to consider where the jobs of the future will be. Startups are the avenue for us to be able to provide those jobs,” Ms Curran said. At the end of the workshop the participants were able to pitch their startup idea to a panel of judges with the top 4 awarded seed funding. Ash McIntyre for her idea to develop a pilot Humanities Challenge for schools complimenting the national Science and Engineering Challenge. Elicia Taylor for her idea to create educational podcasts for broad distribution in schools, shifting perceptions of the role of Australian women in World War One through the new presentation of archival materials. Clare Albrecht for her idea to expand a successful Newcastle poetry event series to a national program. Kim Oakhill for her social enterprise Helpful Love which provides a service-based alternative to flowers in times of crisis. Professor Smith said the Centre supports the workshops because it relates to the Centre’s key theme of external engagement. “One of the most important things today, especially with the engagement and impact agenda that is part of the tertiary sector now, is to make our research have impact in the real world. Through these workshops we are taking researchers’ ideas, applying them to real world problems and creating solutions to those problems,’ she said.